You know I'm not used to draw diaper characters for my own, that's what people ask me, but you have to accept they look very cute. 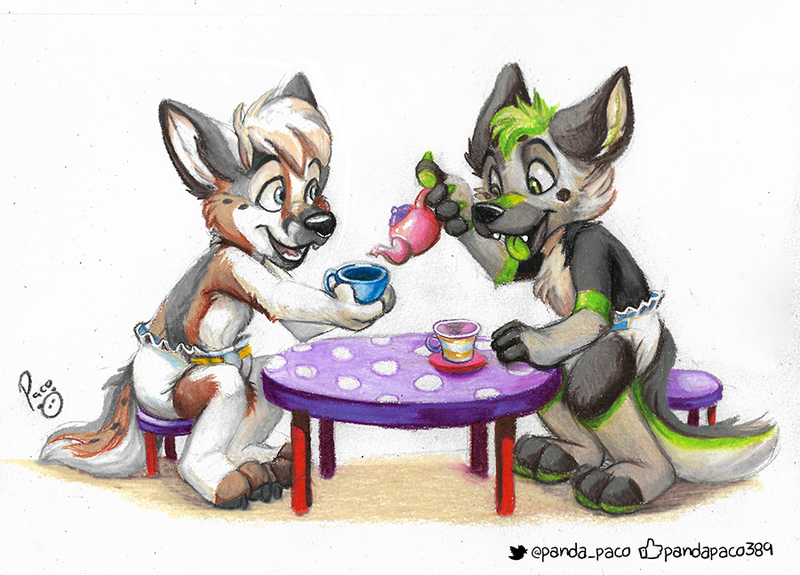 Kylo and Saebo, playing they're adults on a social tea party. What do you think they're saying? What would be a funny dialogue between them? (In English accent) “More tea, I think, Cavendish.” Maybe? Needs work? (In English accent) “More tea, I think, Cavendish.” Maybe? Needs work? Very cute anyways. “Mow tea, I fink, Cabendish.” Yeah I know, not great. Too much cute ,i love your drawings paco . Absolutely adorable X3. Some artists are just great even at art-things outside of their forte.